While we’re still encouraging healthy eating habits and she’s learning to love different fruits and veggies at her own speed, one thing that my daughter has always loved is squeeze puree pouches. She tried her first “pouchy” (as we call them) when she was about 8 or 9 months old, and she’s been fangirling over them ever since! 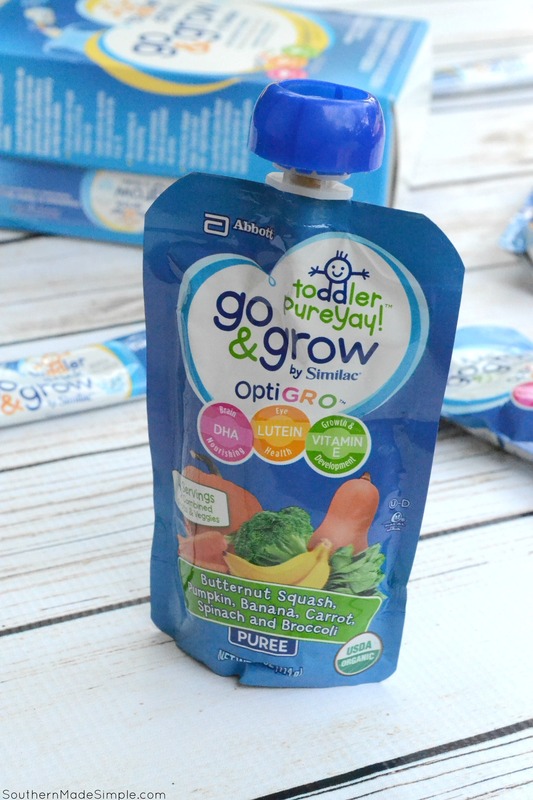 The new Go & Grow by Similac Pouches have earned their position at the top of the squeeze pouch ranks in our household, as they’re the only toddler fruit and veggie puree pouch on the market made with OptiGRO™ – a brain and eye nourishing blend of DHA, Lutein, and Vitamin E that is comparable to what is found in common foods. This earns major points with me as a mom, because I’ve too often been in the trenches worrying about if my daughter was receiving the proper nutrition that she needed. 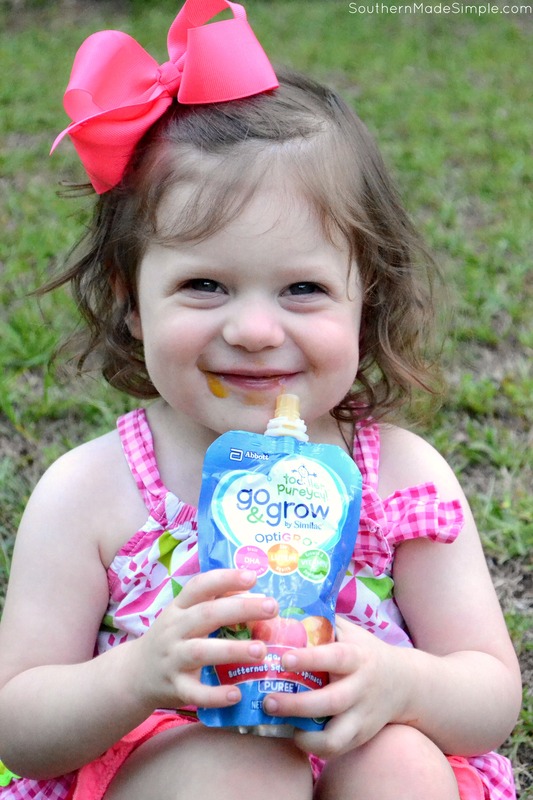 Handing her a Go & Grow squeeze pouch gives me SO much peace of mind knowing that she’s filling her body up with the nutrients she needs, and she’s enjoying it, too! While there are many other squeeze puree pouches available on the market, it’s important to check the ingredients to see if what you’re feeding your little one is really nurturing them in a positive way. DHA (found in fish) helps support healthy brain development in growing babies and toddlers, and it’s a shining star ingredient in the Go & Grow by Similac Pouches. Lutein (found in spinach to support eye health) and Vitamin E (to support growth and development) also make these pouches stand out above the rest. They’re filled with fuel that my on-the-go kiddo needs but doesn’t always get from her food, and that makes this mama oh-so happy! 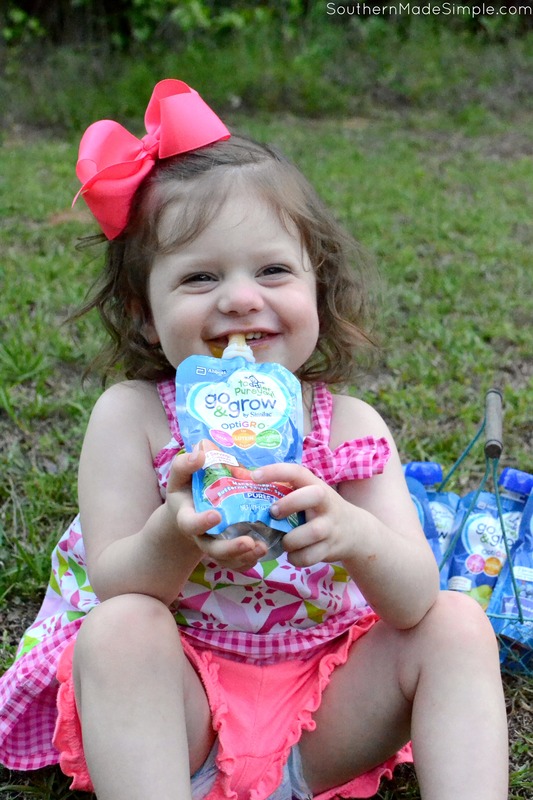 My little has also been enjoying the new Go & Grow by Similac Toddler Drink Powder Single Packs, too! Each 8 oz serving has at least 30% of the daily value* of iron, calcium and vitamins C & E, and it also contains OptiGRO™ just like the squeeze pouches! 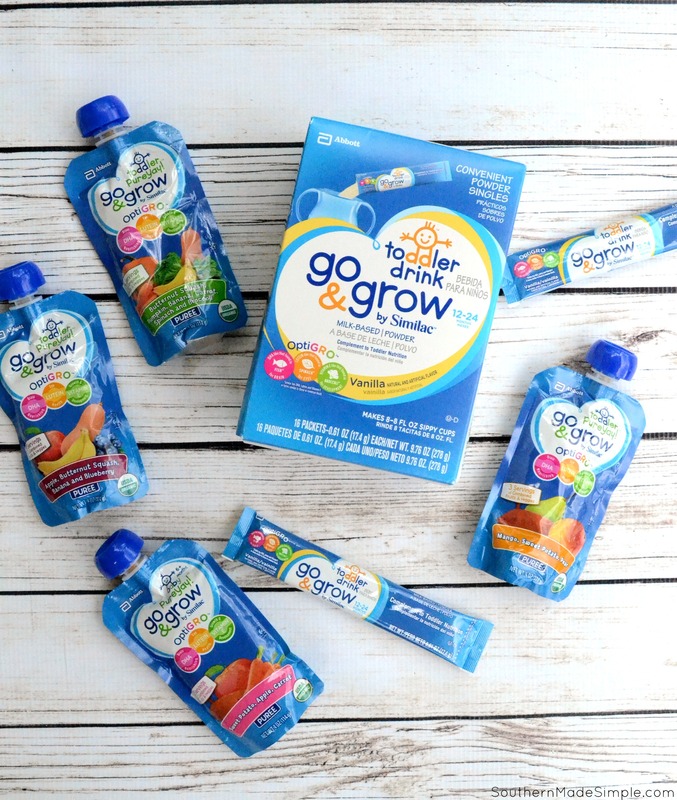 If you have a hard time getting your picky eater to reach the recommended daily servings of fruits and veggies, reach for the new Go & Grow by Similac Pouches and let your toddler squeeze all of those nutrients into their diets in a fun and yummy way! Each pouch contains 3-4 servings of combined fruits and vegetables – at least 1/3 of the daily recommended amount. Hooray! My tiny little tot has really been enjoying these squeeze pouches and asks for one every single day. They’ve really taken a lot of stress and worry out of my day and replaced it with satisfaction and joy knowing she’s fueling her body with things that are so good for her. 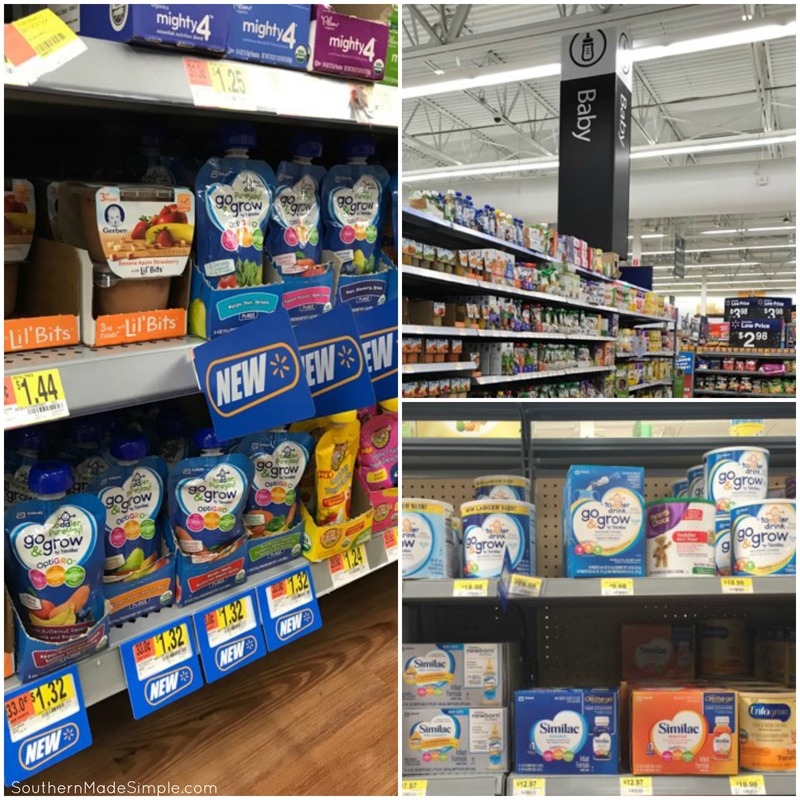 Next time you’re shopping at Walmart, make sure you pick up a few pouches for your little one to enjoy! 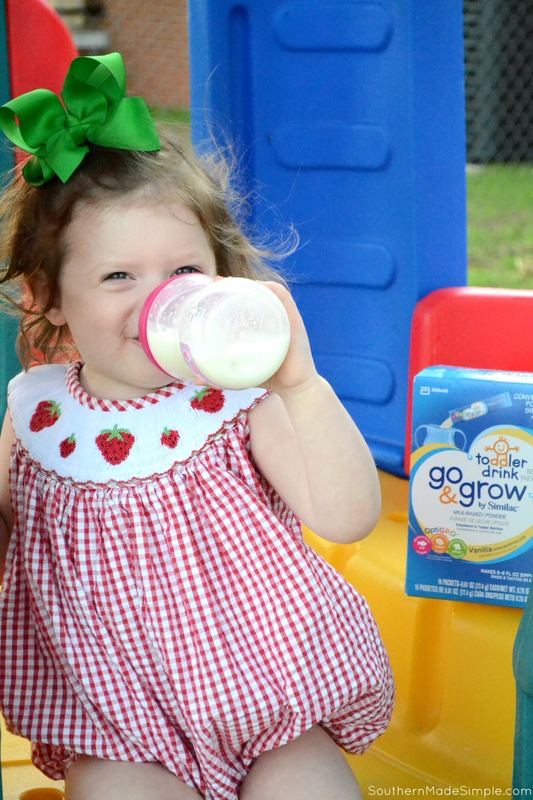 For more information on Similac Go & Grow Products, visit their Facebook and Youtube pages and get it on the fun! Previous Post: « Breastfeeding Questions? See a Lactation Consultant Anytime, Anywhere with Amwell! + Special Discount!